Dr. Snyder provides a high level of diagnostic and treatment services to help your specific condition. Chiropractic Examination: A postural evaluation is performed to check for any muscle imbalances. Bilateral weight scales also help determine any structural or muscular imbalances. Palpation to the spine to check for tight, tender muscle fibers. Neurological Examination: Checks the nerve pathways. This can be done with vibration sensations, light touch or hot/cold items placed on the surface of the skin to look for places where there may be an altered sensation experienced. Orthopedic Examination: This checks your joints for movement and motion. This can be done by challenging the muscles that surround your joints, checking ranges of motion of the spine of other joints of the body, placing stress on the joints to see how they respond to this stress. Total Health Scan: What is a Total Health Scan? This is a computerized Surface EMG placed on either side of your spine from the top bone to the small of the lower back that gathers feed-back information form your body and analyzed by a computer program. This program detects imbalances with muscles, nerves and nerves to muscles in response to physical, chemical and emotional stresses to the body. Nutritional Examination: What is a Nutritional Scan? Whole body testing of each organ through muscle response testing. This tells which organs are mal-functioning doe to a nutritional deficit. If your condition warrants additional diagnostics, urinalysis, salivary tests and blood tests, they will be recommended. Dr. Snyder has had success helping patients with the following conditions achieve greater health. 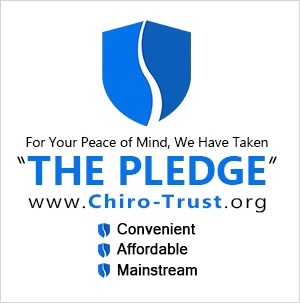 Dr. Snyder utilizes chiropractic technology to assist the patient in achieving their maximum health potential. AK allows the skilled health practitioner to evaluate functional illness, which typically precedes disease. This highly individualized, in-depth sytem of analysis, allows the doctor to assess various aspects of a patient’s state of health by evaluating and treating postural and muscular imbalances, neurovascular and neurolymphatic points, subluxation, cranial-sacral movement, acupuncture meridians and nutritional status. This is a highly effective treatment system which focuses on whole body care. AK enables health investigation without intrusion. AK gives insight into the underlying causes and solutions to many functional health problems. The detox foothbath was designed and developed to restore the body’s energy and balance while facilitating and aiding in its natural detoxification process. This device has been proven in clinical trials to balance and restore the body’s Ph and electromagnetic energy.